Bonita Shores has cottage, boat, kayak, & paddle board rentals along with a new beach to swim or play. Ship store is full of everything you might need for a day on the lake. Check us out! 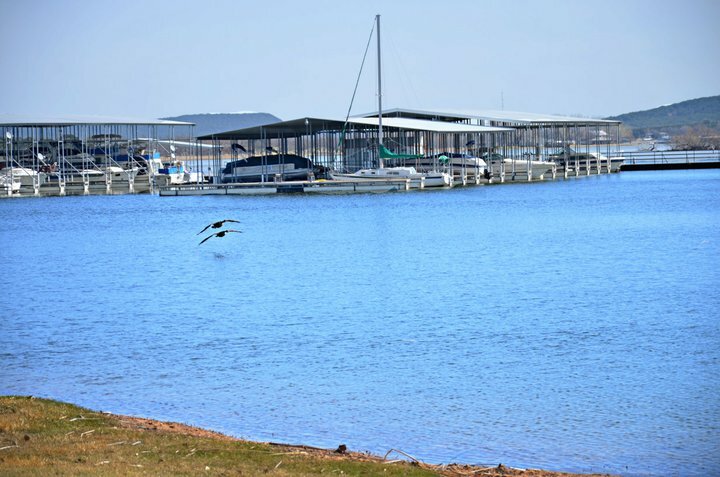 Located on the water at Possum Kingdom Lake, Bonita Shores is the perfect place to plan your summer or winter getaway! With an RV Park and comfy rental cottages, you are in store for a true outdoor experience. Within walking distance are great restaurants, miles of beautiful hiking trails overlooking the lake, a public boat ramp, the Bonita Shores Marina and more! Not to mention the great fishing, pleasure boating, birding, and other sporting activities–all literally at your fingertips! Nestled amongst the trees with views of beautiful Possum Kingdom Lake, these charming cottages boost a full kitchen, living room with couch and 2 recliners, bedroom with queen bed and a carpeted sleeping loft with a queen mattress. Each cottage also has covered porches for your outdoor pleasure. Recently added two new cabins which are two bedrooms.